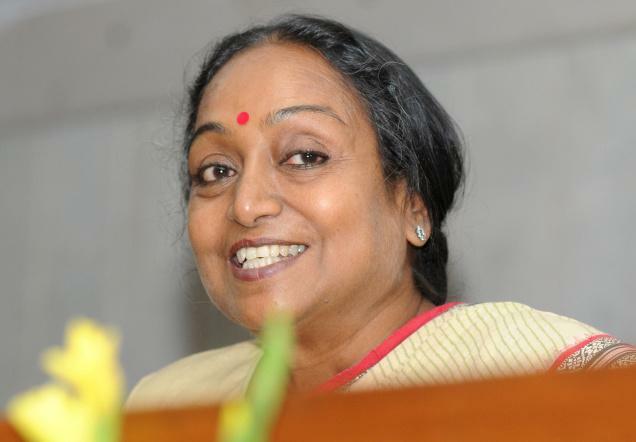 After a strong reply to Opposition Party in Lok Sabha regarding the Afzal Guru's execution, Speaker Meira Kumar's exclusive talk to India Satire. This day 13 people were martyred to save the Parliament. They did not sacrifice their lives for this, just to hang some small time terrorist. This is what I want to repeat what I said in Parliament. They just gave their lives just they wanted to give and not for any other reason. There is no reason why Opposition is wasting our time by asking why Afzal Guru is not hanged till date. My government is committed to Indian people that before we hang Afzal Guru, the government will search the exact reason why it has not hanged Guru in first place. There is no reason why for last 8 years BJP is bashing our head on exclusive topic of Afzal Guru's execution. We ourselves don't know why he still there as alive and healthy. The reason should be found out in a due and diligent process. BJP could have silently asked us to appoint a special investigation to find the exact reason but by pulling plugs on the Parliament is no gentlemanly way. I will have to notice BJP and Indian people that it was first of its kind of attack on Parliament in India and the world. Therefore, the case by default should not be solved in a hurry. Taking some time and understanding why he should be hanged, why he should not be hanged and why he is still there is necessary so that such incident will not happen again in the future. By taking adequate time to allow us to answer us all these questions we are actually stopping such a crisis to be happened again.